Update The president of the family courts, Sir Nicholas Wall, has given a wide-ranging speech to Families Needs Fathers. In it he outlined his own vision for change and also sounded a warning that legal aid in family cases may soon be abolished. On legal aid, he said “you do not need a crystal ball to see that legal aid for private law proceedings is likely to be further diminished if not abolished“. This may not come as a surprise to those who have been following the family legal aid tender debacle. But the practical outcome of a reduction or abolition of Legal Aid will be that when cases do come to court, more will have to be accomplished, and faster, before the money runs out. Sir Nicholas suggests some ways of achieving this. He makes a number of proposals for change. First, he said that the family law system needs to become less adversarial, for the sake of the children. There is “nothing worse” for children than “for their parents to denigrate each other“. Of course, this is harder than it sounds. Bitter family disputes are often fought from one ‘contact’ hearing to the next, with little regard for the long-term perspective. Sir Nicholas suggests that more could be accomplished if the same judge was assigned to each separate hearing in the case; at present, parties may encounter 10 judges across ten hearing. From April 2010 courts have been obligated to consider judicial continuity in family cases, and he suggests quoting this back to the court if there is an issue (see here – para 2.2). His second proposal relates to better enforcement of contact orders. Simply, judges are “reluctant to enforce contact orders by committal for breach“. They worry that an order might alienate children from the sanctioned parent, and if that parent were sent to prison it would have an even greater effect. Sir Nicholas is of the view that “education and instruction rather than punishment” is required, and that more needs to be done by the courts to actively manage this. More fundamentally, endless disputes arise because “separating parents who are unable to resolve issue between themselves rarely act reasonably”. And, surprisingly, “the more intelligent the parent, the more intractable the dispute.” How, he asks, can this cycle be broken? His third proposal is to make mediation compulsory in family cases. It is likely that this will become law under the new government, and parties will have to show that mediation has been attempted and failed before they institute proceedings. This is clearly sensible, and mirrors the increasing focus on alternative dispute resolution across the civil courts. However, ADR needs two willing parties, and it is possible that family cases may often not be appropriate for such soft-touch methods. Sir Nicholas is turning out to be an outspoken president. In August he wrote to the Legal Services Commission saying that there is a “a grave danger that the [family justice] system will simply implode.” His comments related to the possibly botched award of contracts in publicly funded child and family work. And, shortly before he took on his role, he referred in a judgment to social workers as “arrogant and enthusiastic removers of children”. The new government has ordered a full-scale review of the crumbling family justice system (the deadline for giving evidence is next week), and Sir Nicholas expects that the changes are likely to be “radical“. Given the enormous challenges facing family justice, it is important that its president continues to be an outspoken advocate for change. Update 26 Sep – see our follow-up post on fathers’ rights here. I would add that I have lodged an appeal against LJ Wall’s judgment with the ECHR, this being the only recourse left to me. b) The application of the principles, weighting, ideology and suppositions of Payne v Payne (2001) could not have properly and comprehensively served the paramount interests of the children because, to paraphrase Wall’s own words, they placed too great an emphasis on the ‘distress argument’ of the primary carer and afforded too little regard to the harm done to the children as a consequence of a permanent breach of their meaningful relationship with the left-behind parent. c) in refusing to join the children as parties to the proceedings and thus denying them a trained lawyer to represent the case against their removal from Britain, and instead in encouraging a legally-untrained and emotionally-involved lay-person (their father) to conduct the legal case against removal on the children’s behalf, Wall denied the children a fair hearing. The reality, though, is that the ECHR may takes many years to consider the merits of my case. In the meanwhile, other children’s welfare will continue to be assessed using the suppositions and ideology of Payne. If family laws were not inherently misandric, as they currently are, there would no doubt be far less litigation, equating to a dramatic reduction in turn-over for the legal profession. Inherent unfairness generates litigation as well as civil disobedience (F4J). The system is self serving. 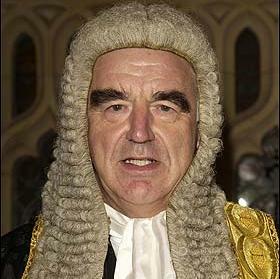 What senior judge is prepared to decimate the legal profession by making family laws fairer? A very brave and a very rare one, presumably. A more interesting aspect of his speech relates to his comments concerning Payne v Payne (2001) and International Relocation (paragraph 45 onwards). He has come under a great deal of pressure regarding this issue of late, and he obviously felt the need to publicly defend his and the Court of Appeal’s erstwhile stance on the matter. In my own case, having researched the matter very carefully, and having unearthed a great deal of contemporary & corroborating psychological and sociological scientific evidence demonstrating the harm caused to children as a result of overseas parental separation, I felt that I had an absolute duty to my children to fight the application. After all, what parent would not do all that he (or she) could in order to prevent harm befalling their children? My case was reported as Re D (Children)  EWCA Civ 50. Whilst paying standard lip-service in his speech to the paramountcy principle of child welfare, LJ Wall continues to ignore the afore-mentioned powerful and incontrovertible scientific evidence. He also presents a ridiculously Kafka-esque circular argument against the law being reviewed by the Supreme Court. He accepted that Payne v Payne may be affording too great a weight to the so-called ‘distress argument’ of the primary carer to the detriment of the child’s well-being. But he also affirms that trial judges are strictly bound to adopt the legal principles of Payne v Payne in their rulings. Furthermore, Wall goes on to say that if judges apply Payne correctly (even if it places too great a weight on the distress argument) the Court of Appeal cannot interfere with the judgment. Development of the law is thus impeded. developmental and educational consequences for children. The full arguments and evidence – which were presented to Wall in my case can be found at relocationcampaign.co.uk. Sir Bob Geldof has put his full weight behind the campaign. the received wisdom of the courts! and well-informed thinking parents are, no doubt, an irritation to the judiciary! children to Eastern Europe – due to their future well-being having been assessed by the courts using the defunct legal principles and misandric ideology of Payne v Payne – my rational arguments against Payne v Payne have, at least, been accepted in certain quarters of the judiciary – particularly by Mostyn J of the High Court – and it now seems quite likely that this most unjust and outdated law will soon be reviewed by the Supreme Court. LJ Thorpe, instigator of Payne v Payne, conceded on Radio 4’s the Today Programme in June that his law will need to be reviewed. Finally, a senior judge who speaks sense. Sir Nicholas Wall long may you reign!